of Peanuts and Dates makes it very healthy and energetic. Peanut is a good low cost alternative for Badam. Kids do not have more than one or two dates at a time. This Energy Ladoo helps them have more. 1. Add peanuts, cardamom pods and dates in a dry mixie jar. Ground them into a coarse powder. 2. Then add the grated jaggery and again powder them into a little bit coarse powder. 3. Immediately transfer the powder into a plate or bowl. 4. Make gooseberry size balls from the powder. 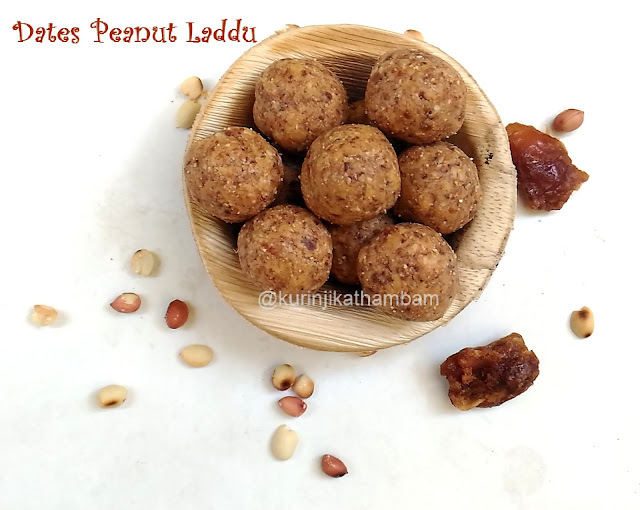 Healthy and yummy Dates Peanut Laddu is ready!!! 1. 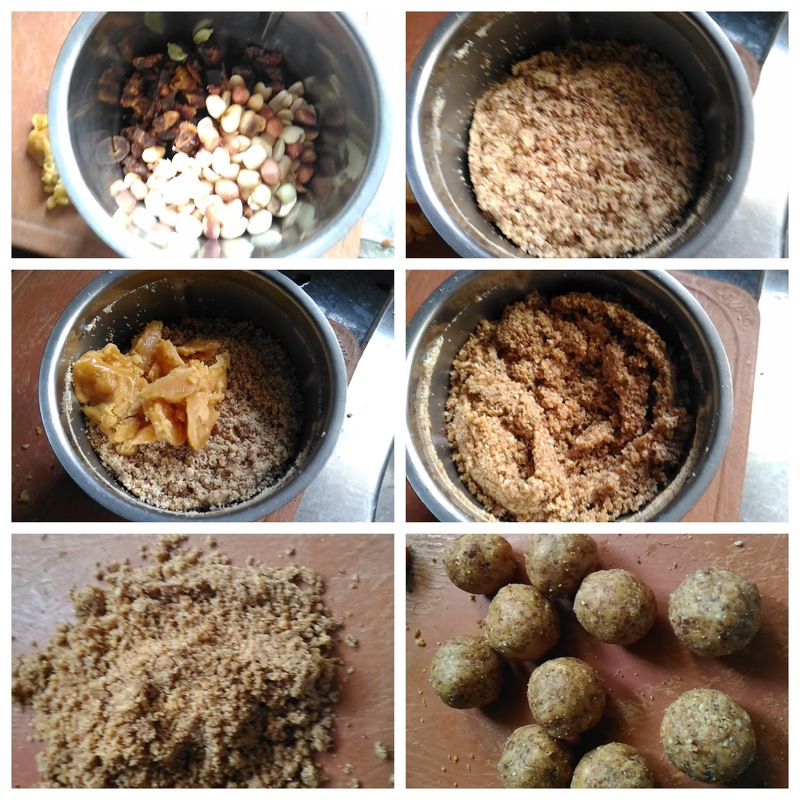 Make laddu immediately after transferring the mixie it into a plate. If you delay, the mix will get dry.